Our certified technicians fix all major brands and models. Let’s take a few minutes and show you exactly what we do. 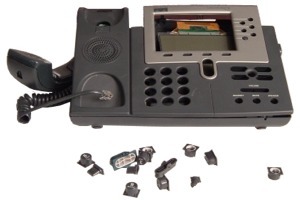 We start by evaluating the telephony product to see if the plastic shell is cracked or otherwise damaged. If the shell does indeed need replacement, then we replace it from our own in-house Paint Center inventory. Rest assured, your repaired phone will look and perform like new. 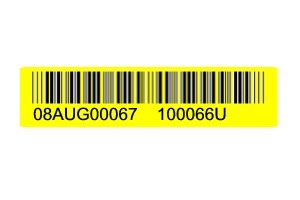 Next, we apply a serialized barcode to each product needing repair. As our repair process is paperless, this barcode helps us manage the flow of work in progress in our Repair Center. The barcode is scanned at every touch point, so we always know the status of every item from receipt to shipment. 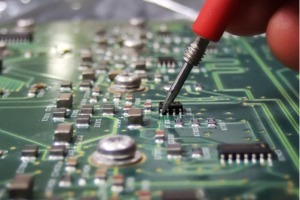 After our Black Box Resale Services certified repair technicians make the necessary repairs, every product is tested to make sure it's fully functional. 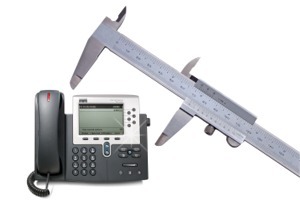 And, unlike a lot of resellers, it’s not just a simple pass/fail tester we hook the product to. Our facility has a complete switch test lab where we plug the products into working switches. This way, we know it’ll actually work in a real-world application. After the product has been repaired, tested, and put back together, we focus on making it look like new. 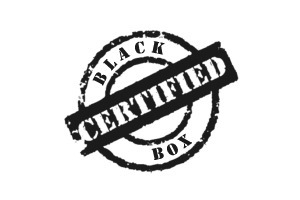 This includes cleaning and sanitizing to Black Box Resale Services rigorous quality standards. The cleaned phone is then packaged with a new cord, extra keys, and new product literature. It goes through yet another quality check to ensure that your equipment will work and look the way you need it to. In fact, when you see a new and a Black Box repaired phone side by side, there's no discernable difference between the two. It looks, and most importantly performs that good. Once the repair order is ready to ship, each barcode is scanned into our warranty tracking system. This allows us to track warranty claims and you to view the remaining warranty for any Black Box Resale Services repaired product online. 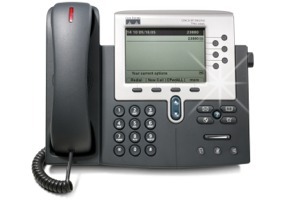 Most of the products we repair come with our comprehensive 2-year warranty standard.